I’m writing this while at the Jamf Nation User Conference, better known as JNUC. It’s my second year at this conference, and while Jamf’s Apple-focused device management software has evolved and the 2000-plus attendees are busy learning about the latest best practices, at a high level, the conference is basically the same as last year—for details, see “JNUC 2017: A Glimpse into the World of Apple Enterprise” (3 November 2017). And once again, in the interests of full disclosure, Jamf has sponsored TidBITS in the past, and the company invited me and other journalists to attend, paying for travel and accommodations. 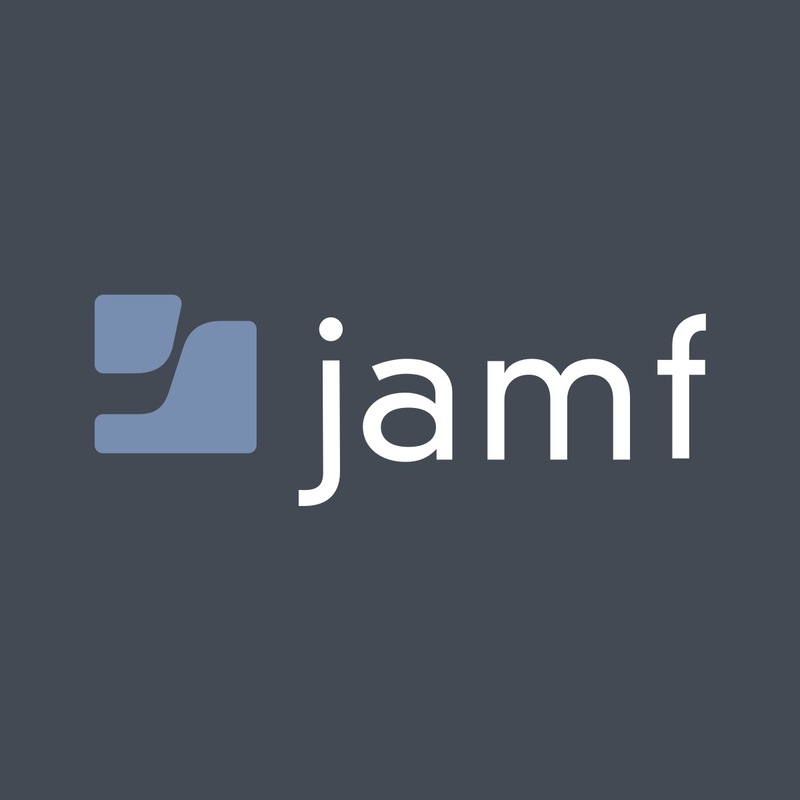 More interesting than the nitty-gritty of how Jamf Pro works are the ways that schools, businesses, and other organizations are using it to help enable large and innovative Apple-focused projects. For many of us, it’s hard to see beyond individual consumer use of Apple devices. So let’s step back from daily media frenzy and look at how technical professionals around the world are using Apple devices as organizational tools of change for education, healthcare, hospitality, and retail. When he was in 8th grade in 2012, my son Tristan announced that he needed a TI-83 graphing calculator for his algebra class. It wasn’t cheap at about $110, and I was shocked to realize that it had been designed in 1996 and last updated in 2001. It was ancient technology, to be sure, but it was all that was approved for use on New York State’s standardized tests. And it couldn’t be used to cheat, as would have been possible on an iPhone or iPad equipped with a graphing calculator app. So I was intrigued at JNUC to talk with Brian Messinger and Robert Pontecorvo, District Coordinators at Sewanhaka Central High School District on Long Island. Their district has five schools in very different communities, and they were struggling with equity issues surrounding graphing calculators. For students whose families couldn’t afford the $110 calculator for a standardized test, the school would provide a loaner calculator, but it wasn’t something these students had access to all year, putting them at a huge disadvantage on the test. And while $110 may not sound like that much, one of Sewanhaka Central’s schools loaned out three calculators for the test, whereas another had to loan out 300. The test questions might have been standardized, but taking the test was anything but a level playing field. Simultaneously, students in other, richer districts were using more modern calculators that were easier to use and had more capabilities. Even Sewanhaka Central’s wealthier students were at a disadvantage compared to neighboring schools. So Messinger and Pontecorvo worked with the New York State Education Department to create a 1-to-1 program that would provide iPads to 8200 students and 800 teachers. They’re all equipped with the free GeoGebra graphing calculator app, which, as Pontecorvo said, “can do everything that a normal calculator does, but better” thanks in part to iOS’s direct manipulation interface, compared to using complicated key combinations for actions like zooming. This system works for two reasons. First, the GeoGebra graphing calculator app is approved for use on the New York State standardized tests. That’s essential because, Pontecorvo said, his teachers refused even to consider previous iPad math apps because students wouldn’t be allowed to use them on tests. Second, with a Jamf Pro profile and workflow, the Sewanhaka Central IT department could lock all the iPads to use only GeoGebra during tests. No switching out to Safari to do a Google search or to Messages to ask for help. Of course, iPads are more expensive than graphing calculators, but not vastly so, and bringing them in for educational equity reasons was a cleverly placed foot in the door. And now, with iPads across the entire student population, the district is standardizing on Apple’s Schoolwork and Classroom apps for class administration and teachers are using GeoGebra and other apps to improve instruction with a focus on creativity rather than rote learning. I raised the question of keyboards, which Sewanhaka Central does not provide with its iPads. Pontecorvo said, “We’ve learned, and this was a mindset shift for me as well, that keyboards are an adult issue, not a teenage issue.” Apparently, the students are happier with the split keyboard and thumb typing. Although it might seem counterintuitive, one of the primary drivers for the 1-to-1 iPad program that started this year at Ohio State University was cost savings. Ohio State’s Digital Flagship program issued 11,500 iPads to incoming freshmen this year, and the university designated 42 fall semester classes as “iPad required” due to the apps that the courses use. Each iPad also has a custom app that provides a course planner, grades, schedules, and a listing of student organizations, along with campus maps and bus routes. Unlike Sewanhaka Central High School District, Ohio State equipped its students with iPad Pros outfitted with cases, keyboards, and Apple Pencils, so students are ending up with highly capable systems, which they’ll get to keep when they graduate. So how is this saving money? Again, iPads aren’t exactly cheap, but their price tags seem entirely reasonable compared to those of college textbooks—Ohio State’s students spend $61 million per year on textbooks and supplies. The university’s Affordable Learning Exchange program funds and supports faculty members in replacing expensive textbooks with open educational resources that are available for free. According to Mike Hofherr, Ohio State’s CIO, the freshmen are reportedly saving $230 per year by not having to buy as many textbooks. So far, Ohio State has saved students about $3 million, and the university hopes to increase the savings to $10 million per year in 2020. That’s a lot of iPads. Perhaps the most impressive aspect of the Digital Flagship initiative was its rollout. Just imagine how much work it takes to hand out 11,500 fully equipped iPads to incoming freshmen. The university’s IT department was prepping 250 iPads per day for 2 months straight, bagging all the parts and registering the iPad in the Jamf Pro management system. And at distribution, of the 11,500 iPads, just 50 had some sort of problem out of the box, only 8 students didn’t want one, and there were only 2 technical errors. I mentioned this program briefly in last year’s coverage, and Marc Sylwestrzak, Director of IS Experience and Development for UCSD Health Sciences, was back to provide an update. To recap, UCSD’s Jacobs Medical Center hands out an iPad to every patient in the 245-room hospital and equips every room with an Apple TV. The iPad provides access to patient health information, room controls via Crestron home automation, and entertainment through the Apple TV. Since inception, this automatic wipe system has been used over 32,000 times, saving an estimated 1400 hours and $65,000 over manual wipes annually. More important, patients who use the room controls on the iPad are nearly three times more likely to interact with their health records, making for more informed patients. 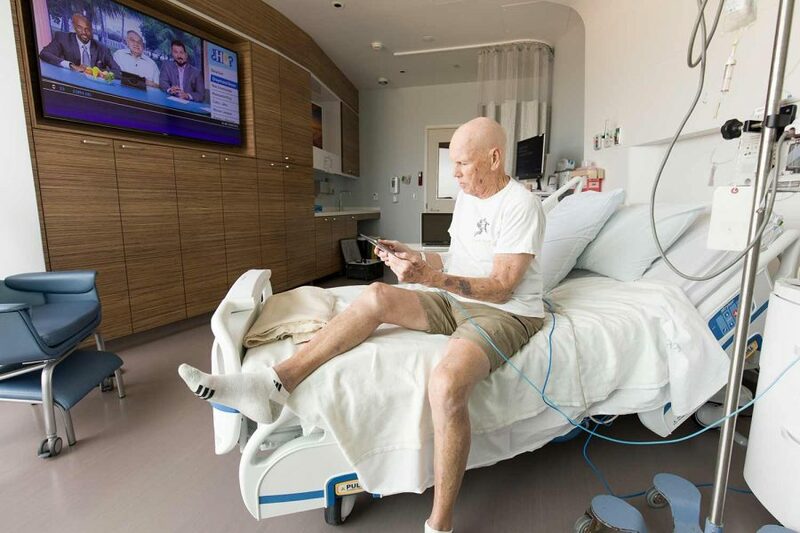 This initial project had proved so popular with patients that UCSD Health Sciences has expanded it to another 490 rooms in two other hospitals over the past few months. The other major change was made possible by a pair of new apps: Jamf Setup and Jamf Reset. The automatic setup and wipe system doesn’t work for outpatients, who don’t check into a room. It also falls down in situations like a NICU (Neonatal Intensive Care Unit), where multiple babies are in beds in a single room (and where the baby patients aren’t yet using an iPad). For a NICU, Jamf Setup allows a nurse to take an iPad, associate it with a particular bed and patient with a couple of taps, and give it to a visiting family member. When that person leaves for the day, either they or a nurse can wipe the device manually (since the baby isn’t being discharged) with a few taps using Jamf Reset. As much as this sort of program is great, we’d all prefer to avoid hospital visits entirely. Nonetheless, the inevitability of being in the hospital as a patient or family member triggered an interesting conversation with UCSD’s Sylwestrzak about other uses for those iPads. We first talked about using those iPads to make audio or video recordings of conversations with a terminally ill relative or bringing the outside world in via FaceTime. A Jamf employee at the table chimed in to say that he had lost his father a few years before, and only once did he think to pull out his phone and record the conversation, which is now one of the most precious artifacts his family has. Plus, with some of the lessons from end-of-life planning from La Crosse, Wisconsin in mind, we discussed the possibility of the iPad offering planning resources, or even providing a chatbot to help someone start a difficult discussion. That’s all pie-in-the-sky possibility for now, but it will need the ubiquitous availability of such technology to patients to come closer to reality. On a lighter note, we may all wish to avoid the hospital, but most of us end up in hotels at some point. Every hotel room has a TV and some sort of entertainment system, but they’re usually hard to use. Plus, many people would far rather watch shows from their own Netflix account than channel surf randomly. In an attempt to modernize the hotel experience, the Red Lion chain of hotels is experimenting with installing Apple TVs (with custom remotes) in all the rooms in its Hotel RL brand. But the project goes further, tying into an iOS app that lets travelers check in remotely, open the door using the iPhone instead of a keycard, and communicate with the hotel staff before (for room requests) and after (in case of forgotten items) the stay. The Apple TV runs a custom app that provides access to DirecTV for channel surfing, lets the user make room requests, and replaces the standard hotel notebooks that document hotel features and provide tourist and eating recommendations. Red Lion uses Jamf Pro to customize the app for each hotel location and room and to configure the Apple TV to default to that app. It also automatically wipes the Apple TV when the guest checks out and sets it up for the next person. The one thing the system doesn’t yet do is provide access to streaming video apps like Netflix and Amazon Prime. Some other hotels with newer smart TVs do offer this, and the problem is that logging in can be devilishly difficult. The problem is authentication—it’s hard enough to log in to any account on the Apple TV due to its horrific onscreen keyboard, and that assumes you even know your password. Red Lion is trying to figure out if there’s a way to ask for and then transfer those authentication credentials with Jamf Pro and the MDM setup. Although Red Lion’s system seems undeniably better than the average hotel setup and has received positive customer feedback, Red Lion CIO John Edwards admitted that people were still having some trouble getting their heads around it. The Apple TV interface may be easy, and Red Lion’s custom app was well-designed, but it all still assumes a level of comfort with digital interfaces that may not exist as broadly as those of us in the tech world think. Still, I’d love to give the system a try. The final case study for interesting uses of Apple devices managed through Jamf Pro comes from Rituals, a rapidly growing European cosmetics chain. Although there are only a handful of stores in the United States, Rituals operates 670 stores worldwide and is opening two new stores per week. That’s an insane rate of growth, but more interesting is how the company manages each store’s technology needs. Rituals stores rely almost entirely on iOS devices. There’s always an iPad for the back office, which employees can use to maintain inventory, watch training videos, read email, access shared files, and do other management tasks. For the front of the store, although Rituals stores have a fixed cash register in case of technical failures, most sales are completed by an employee carrying an iPod touch. They also use the iPod touch to do stock-keeping, complete with a bit of gamification to get employees to build small amounts of product counting in each day rather than spending an evening auditing the entire store’s inventory. Each store also gets an iPhone for contacting the warehouse and for any tasks that might take place outside of Wi-Fi range. The use of the iPod touch is worth noting. Joost van der Zwaan, ICT Solutions Architect at Rituals, said the most important reason for choosing Apple’s little-discussed iPod touch was its size—most Rituals salespeople are women, and they can carry or pocket the iPod touch much more easily than an iPhone or iPad. It doesn’t hurt that it’s notably cheaper than an iPhone. As at UCSD Health Sciences, these iOS devices aren’t personal devices—they have specific roles to play, with a custom selection of apps that each role requires. If a device breaks, or it’s necessary to press the back-office iPad into checkout service during an especially busy time, the Rituals IT staff can use Jamf Pro to wipe it and reconfigure for the new role. And yet, outside of its mainstream marketing, Apple does acknowledge that organizations need to buy and distribute hundreds or even thousands of devices with preset configurations. However, Apple’s own device management tools—Profile Manager in macOS Server, for instance—don’t scale to the levels discussed here, much less the 134,000 Macs used by IBM employees. That’s where Jamf Pro—or a competing device management system like Addigy, FileWave, and SolarWinds—is necessary. As these stories have shown, for multitudes of Macs and iOS devices to meet the role-based needs of organizations, IT administrators need finely grained and highly automatable control over the setup and usage of these devices. As this trend toward large institutions deploying numerous Apple devices as an integral part of their organizational missions continues, we will all increasingly find ourselves interacting with and relying on these managed devices while getting an education, receiving healthcare, staying in a hotel, or simply making a purchase in a store. These devices may not be “personal” in the ways we’re accustomed to, but Apple’s attention to usability and design, coupled with device management systems, means that they can serve highly specific purposes in ways that nothing else could. Wonderful article! The first comprehensive look from this angle. As for Netflix etc. How bout at check in the “Front Desk” ask your phone for your credentials. Either using Near Field Tech or Bluetooth. Then at check out it auto wipes that information. You wouldn’t want to check out 3 hours before you leave but otherwise it might work. Very interesting summary, Adam. I have no clue how iOS or macOS are used on a large scale in the corporate world. Your examples are a very interesting illustration of that. I was especially intrigued about the argument for using iPod touches in retail. When the SE was canned we were told left and right that nobody wants small phones anymore. And yet here we have a CTO explaining to us that his employees (which apparently are mainly women) need smaller devices than iPhones to get work done. I wonder if we would have already seen the iPod touch vanish if it were not for the fact that Apple itself relies heavily on it for their own retail operations. I hope we’ll see a refresh although I heavily doubt it. If indeed that would happen, it would be interesting to learn if a new SE could be much more easily developed (and at reduced cost) based on that refreshed touch. Yep, I was intrigued for exactly the same reason—the small size was a selling point in this case.